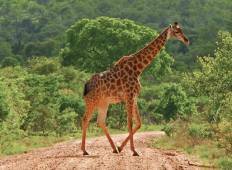 Find the perfect Safari holiday in Kruger National Park. 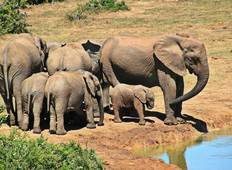 There are 237 Kruger National Park safaris to choose from, that range in length from 3 days up to 62 days. The most popular month for these tours is October. "It was an arranged tour by Intrepid together with their lodge/private reserve partners...."
"This was an excellent tour. Seeing all these animals up close was amazing." "Zacharia did an excellent job of providing information about South Africa’s history..."
"Zach was the best guide. Intelligent, knew his history and passed it on to me. An..."